The boutique apartment hotel and restaurant Neiburgs is a family Art Nouveau era property located in the heart of Riga’s Old Town (Vecrīga), next to the Dom Cathedral. The hotel was constructed, combining careful attention to the architectural heritage, with care for every guest’s satisfaction. Where possible the original details of the building were preserved: wood parquets, adornments of walls and ceiling, widows, banisters and doors. Ornaments found in the original interiors were used in the renovation. The historical elements are supplemented by carefully selected designer furniture and interior objects – the unique Moooi Dear Ingo ceiling lamps in the restaurant; the impressive Zava Ociu ceiling lamps, Ligne Roset armchairs and restored Thonet furniture in the library, Artemide lamps in the apartments and public space, etc. The apartments are airy and light. All have built-in kitchens with an electric range, microwave, and an electric kettle. Natural light and lots of space, all modern conveniences and a personal approach allow our guests to fully enjoy each moment they spend at our hotel. 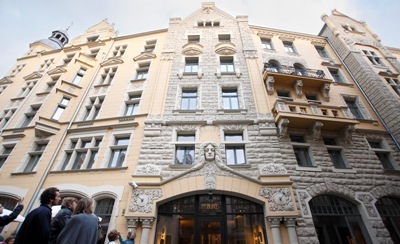 Pullman Riga Old Town Hotel is in the heart of Riga’s historic centre occupying a magnificent building from 1789 merged together with a completely modern structure. It lies exactly in the Old Town and neighbours Dome Square, Parliament, National Theatre, Freedom Monument, National Opera. Refined restaurant and bar, Vinoteca by Pullman, Tea Deli, luxurious SPA with 19 m swimming pool, comprehensive conference facilities with 8 rooms, parking area support the 155 room five star hotel facility. 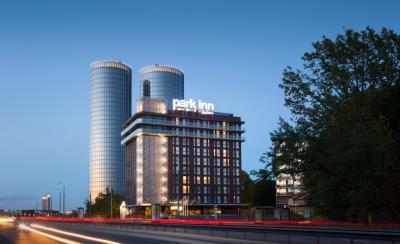 Reserve a room for a special price by quoting a keyword “ZKongress”. This picturesque riverside setting lies just 15 minutes from the airport and within walking distance of embassies and key business destinations. 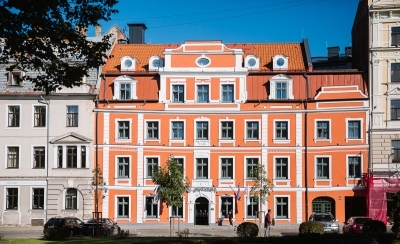 The hotel is adjacent to Riga’s Old Town, where guests can visit key historical sites such as the Blackheads House, Riga Dome Cathedral, Art Museum “Riga Bourse” and Presidential Castle. You will also find plenty of leisure activities with National Library, various gardens, Livu Aquapark and Riga Zoo less than 30 minutes away. Bellevue Park Hotel Riga is a 4 star Superior Hotel. One of the main advantages of the hotel is its convenient location – 1.2 km from the National Library of Latvia (NLL) and 3 km from the centre of Riga – Old Riga. Convenient public transport, right outside the hotel is a tram and it is just a which 6-minute drive to the NLL. The hotel offers standard and business class rooms. The hotel offers a special rate for those participating in the Congress. Reservation rooms: reservations@bellevue.lv, using the discount code “Z Congress”. 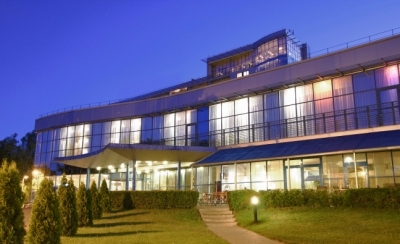 Park Inn by Radisson Riga Valdemara is located on the west bank of the Daugava just as the National Library of Latvia, which is just a 25-minute walk away. 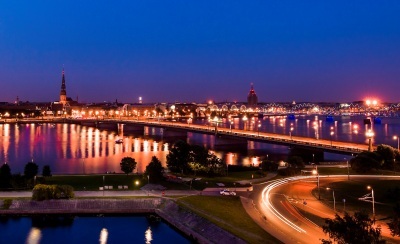 Most of the hotel’s rooms have panoramic views of the Daugava, and overlook the city and the Old Town. Free parking is available. 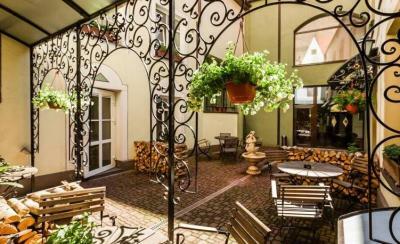 Hotel Rixwell Old Riga Palace has hidden from the hustle and bustle of the city centre and is located on the quiet streets of the Old Town. The 6-storey Art Deco building offers 116 elegantly furnished and comfortable rooms that are perfect for relaxation or work. The hotel rooms have antique interior and decorations. The hotel can accommodate up to 200 guests. Thanks to its location, the hotel will be appreciated by those who want to combine peaceful relaxation with the Old Town sightseeing. Old Riga Hotel Vecriga makes you feel real Latvian Spirit. The romance of the medieval ages together with 21st century comfort, warm welcome and personal attention to every guest have made the hotel popular among tourists and business travellers. 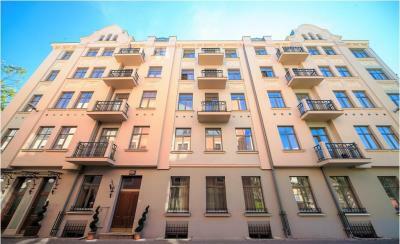 Hotel boasts an extensive collection of contemporary artwork, which is considered to be one of the finest in Riga.